Breckenridge wants you to know that they have you covered when it comes to getting just the right piece of equipment for your fireplace. Their Premium Vent-Free Louvered Gas Firebox with Aged Brick Ceramic Liner is designed to be installed easily into your existing fireplace unit, providing you with a resource that not only looks immensely beautiful but also is capable of providing both you and your household with all of the needed resources to create something truly spectacular that can be admired by all of your friends and family. 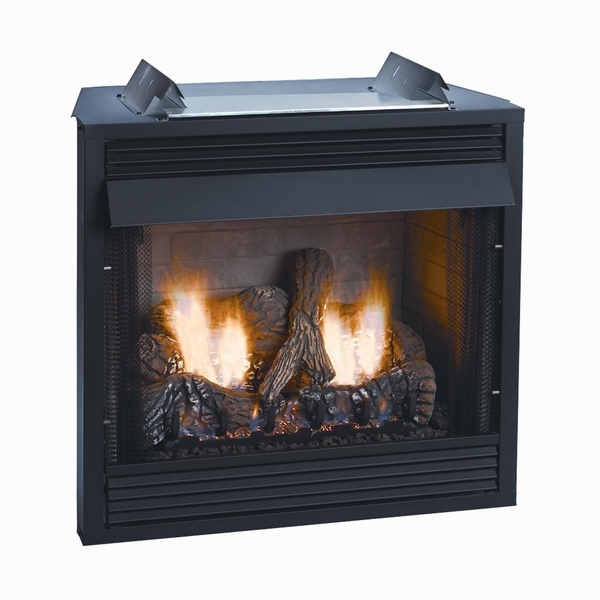 Does this set include the actual burner and logs? This product is indeed just the firebox and liner assembly. A properly sized vent free log assembly would need to be added to complete the unit.